The address of Meridian's shooting venue is given below. Click on the logo for a map. 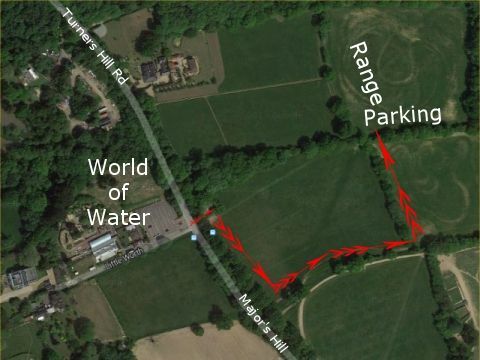 Turn into the field entrance opposite "World of Water" and follow the track around the field boundaries as shown.